Beginning as a grassroots nonprofit organization, your support is essential to establishing this new institution. The Museum depends on your contributions to underwrite our exhibitions, educational programs, publications, and operations. Contributions in any amount are greatly appreciated. Click here to see the Museum's current Members. Everything depends on a great ground crew. This group does the heavy lifting to put the Preview Museum on the pad - fueled and ready for launch. Join the Ground Crew if you want to help get this project off the ground! Enjoy members-only access to all Museum planning information and all special exhibitions. Your generosity and support will make everything happen! $80 estimated tax deductible contribution. If science fiction is a big part of family activities and your other car is a Jupiter 2, we have the right boarding passes for you. Join the Solar Family if you want to achieve Escape Velocity every year! Enjoy members-only access to all Museum planning information and all special exhibitions. $320 estimated tax deductible contribution. Interplanetary Colonists are creating a new home for themselves and the genre. Builders at their core, they are constructing a new institution both physically and virtually, all over the planet for the Museum of Science Fiction. $900 estimated tax deductible contribution. Interstellar Explorers are the Museum's trailblazers and the first people to set foot on new ground - including the Preview Museum's opening night ceremony. These people are risk takers and live for being the first ones to see over the horizon. $1,800 estimated tax deductible contribution. All historic journeys have embarked with an intrepid flight crew, the people responsible for safe arrival on a new shore. The Flight Crew for the Museum of Science Fiction are the people that will insure a safe departure and get us to our destination. $4,700 estimated tax deductible contribution. The Museum's Bridge Crew is an elite team of independent thinkers in specialized areas. These leaders put mission-critical ideas in motion and recommend course corrections where they see opportunities to advance the Museum's core mission objectives. These people are used to pushing limits to accomplish what they set out to achieve. $9,600 estimated tax deductible contribution. The Museum of Science Fiction's Command Staff are visionaries and the most senior members of the organization's leadership structure. Their ideas and guidance help contribute to policy and governance approaches. The Command Staff charts the way forward and focuses on prioritizing annual objectives for the Museum. $24,600 estimated tax deductible contribution. 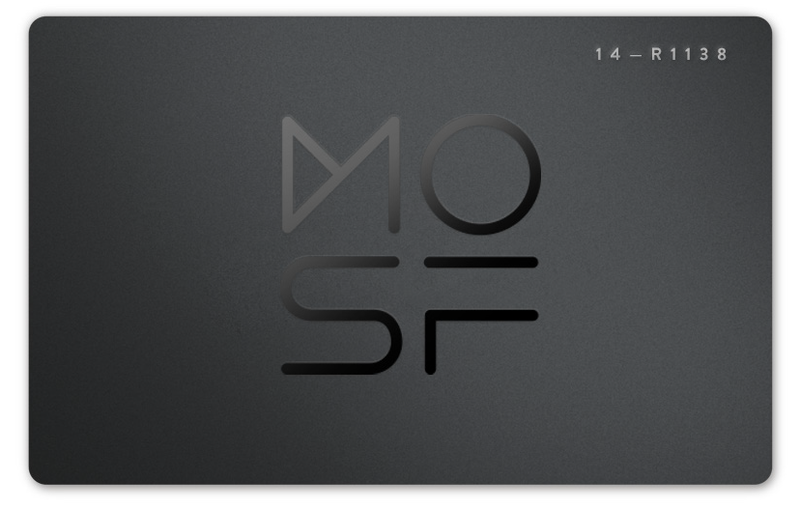 When you support the Museum of Science Fiction, your employer may have a matching gift program to participate with you. Employers frequently support nonprofit organizations like the Museum of Science Fiction and encourage employees, retirees, and board members to get involved with charitable organizations by offering corporate matching gift programs. When you support the Museum, please ask your human resources representative about a corporate matching gift program to increase your contribution! Thank you for your interest in the IRS Determination Letter document. Please click here to download the PDF. The Museum of Science Fiction and Escape Velocity are nonprofit 501c(3) organizations.